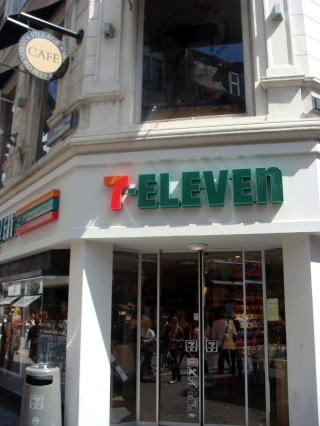 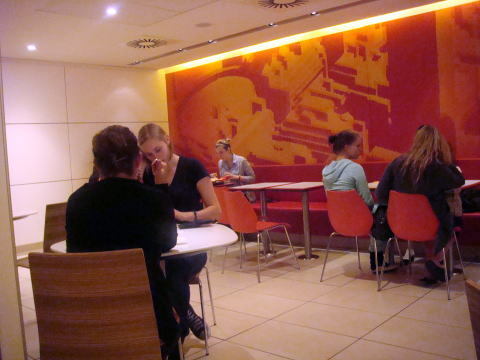 McDonald and Seven Eleven at the center of Copenhagen. 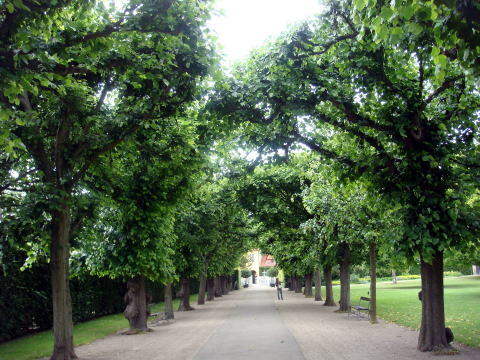 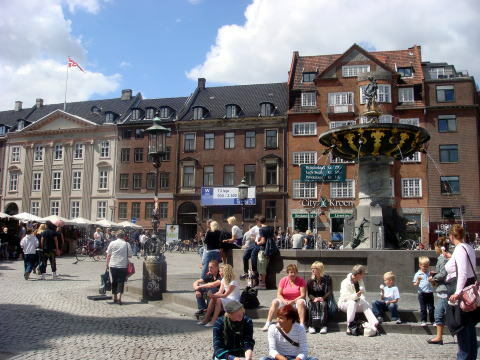 (L) Stroget is the world's oldest and longest pedestrian street. 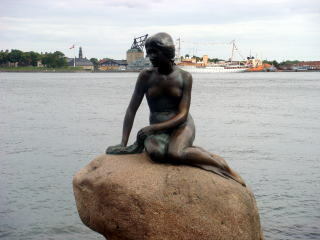 It was opened in 1962. 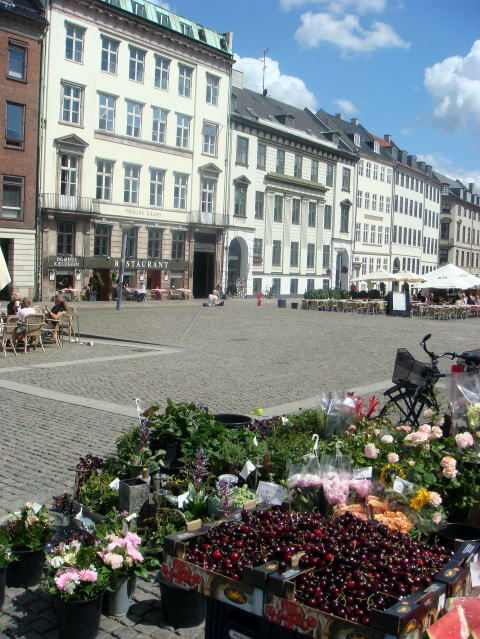 (R) A lot of American cherries and many flower pots seen in Stroget, Copenhagen. 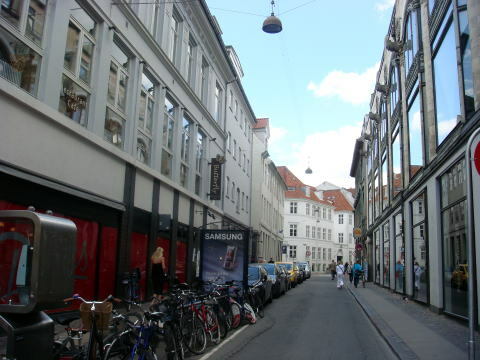 (L) A narrow street of Ostergade, Copenhagen. 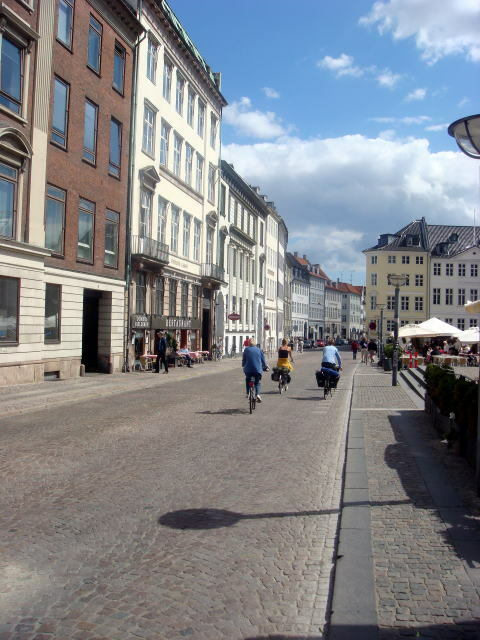 (R) Cycling in Stroget. 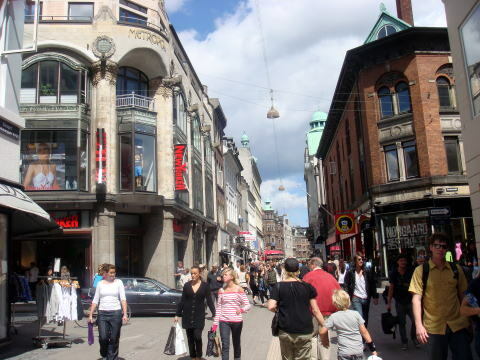 A busy Ostergade street ( Stroget ). 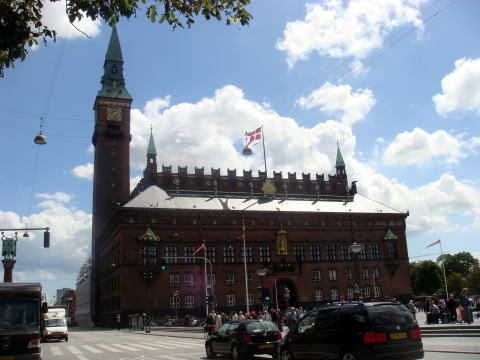 (L) Rosenborg Slot ( palace ). 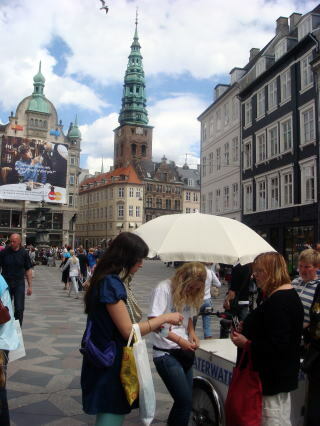 When we visited there, a festival sponsored by a retired military soldier. 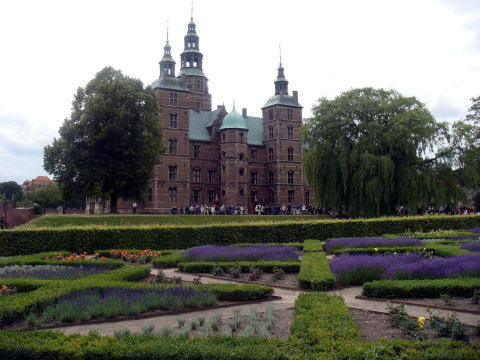 A colorful flower in bloom at Rosenborg Park. 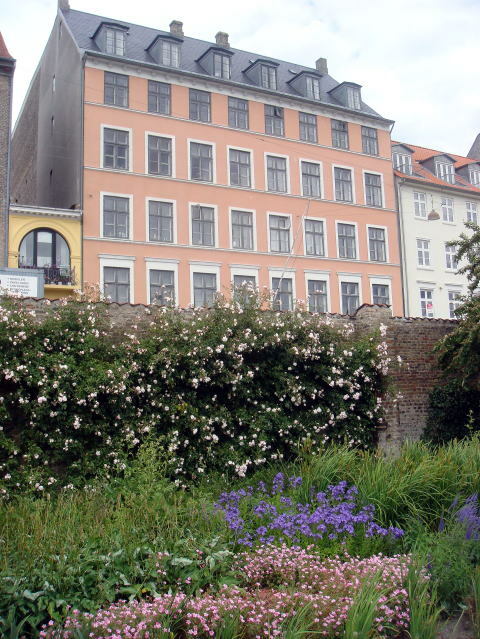 Old houses in the back appeared to be a condominium. 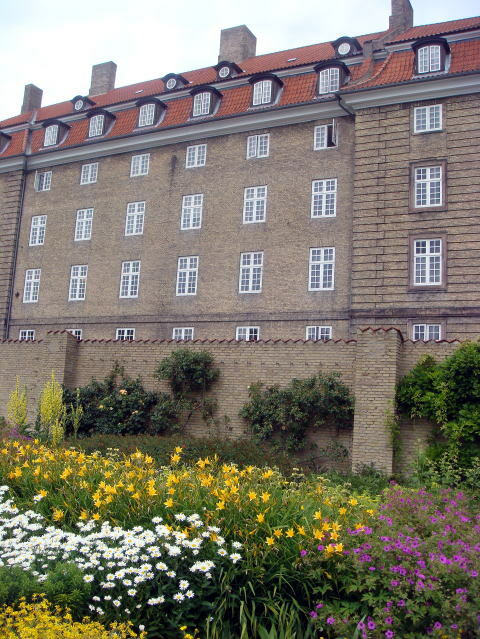 (L) Barracks near Kastellet fortification to defend the city of Copenhagen. 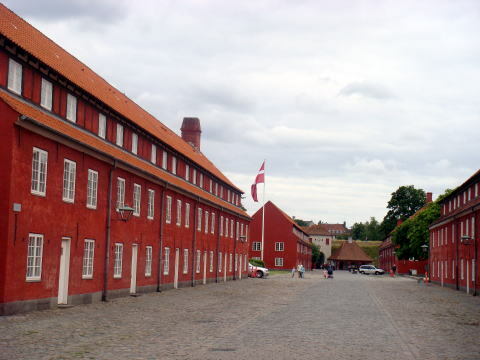 The buildings are now used for office and residence of military personnel. 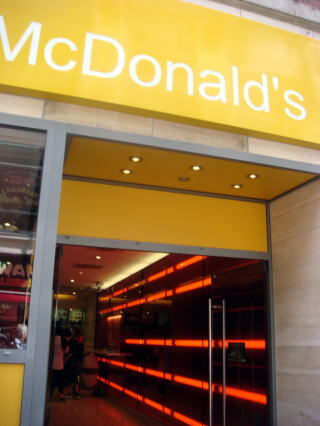 At this place, we can experience both expectation and disappointment. 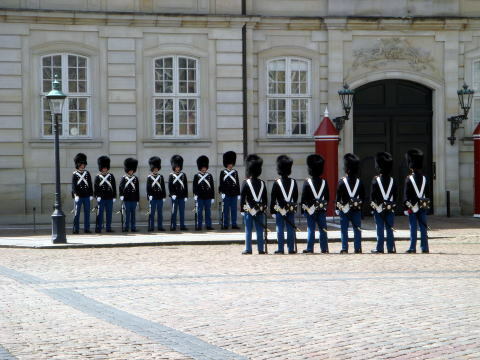 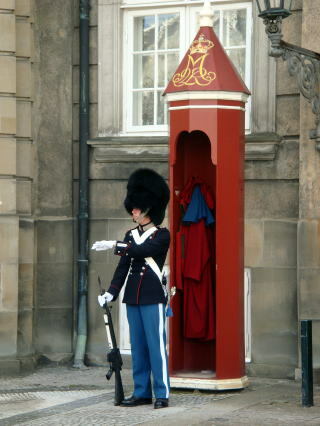 Amalienborg Slot ( Imperial Palace ) and guard men. 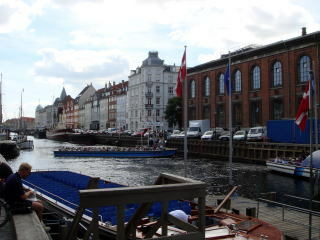 (L) Nyhavn, Copenhagen. 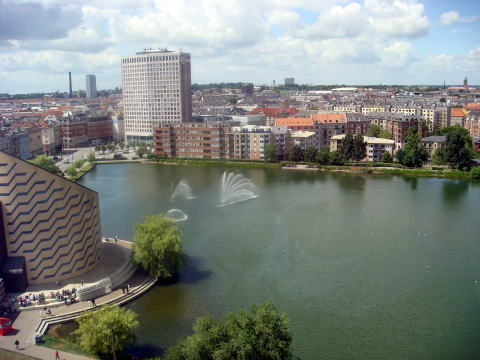 This canal district is busy in a boat tour, restaurant and shopping. 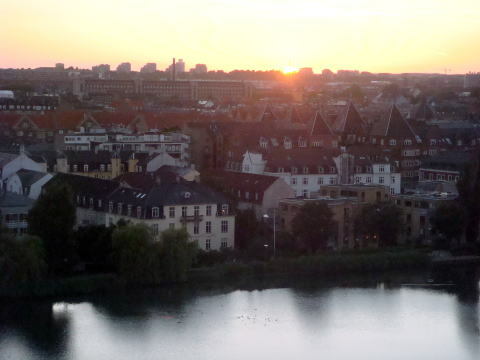 (R) Sunset in Copenhagen town.